Recently, major technology research firm Gartner released their 2018 Gartner Cool Vendors in Identity and Access Management Report. In it, Gartner listed the up-and-coming vendors they consider to be innovative and interesting—and therefore worth keeping an eye on. The 2018 Gartner Cool Vendors in Identity and Access Management Report stated: “Digital business initiatives create a tension between the need for robust and resilient IAM capabilities and the desire to provide great user/customer experience. Security and risk management leaders seeking to resolve this tension should embrace innovations exemplified by Gartner’s Cool Vendors.” This can be especially important for enterprises seeking to undergo a digital transformation in the near-future, as an identity and access management failure can stunt their scalability, security, and user experiences. What makes the vendors in this Gartner report fascinating is that each emphasizes a different aspect of identity and access management innovation—biometrics, two-factor authentication, user behavioral analysis, and CIAM. AimBrain, based out of London, specializes in what they call Biometric Identity as-a-Service (BIDaaS). They offer a multi-module biometrics authentication solution that includes behavioral, facial, and vocal authentication factor options. In addition, AimBrain offers a cloud-based authentication approach. Futurae, founded in 2016, offers AI-assisted two-factor authentication, which can take the form of zero-touch, one-touch, mobile device, continuous, and IoT authentication. Their solution is designed to provide flexibility for enterprises of different size and use-cases. Futurae also offers CIAM authentication. They are based in Zurich, Switzerland. Headquartered in San Francisco, UnifyID focuses on human behavioral and environmental factors, including location and movement, habits, and inter-device interactions, to ensure accuracy. They feature machine learning and a real-time confidence security score to validate users’ identities. UnifyID also aims to reduce overhead and create a seamless user experience. Uniken is an Indian identity and access management solution provider offering the REL-ID platform that seems oriented to CIAM: it aims to strengthen authentication and transaction verification, cloak APIs and services, and only permit trusted devices. Uniken further seeks to improve customer engagement and facilitate digital transformation. 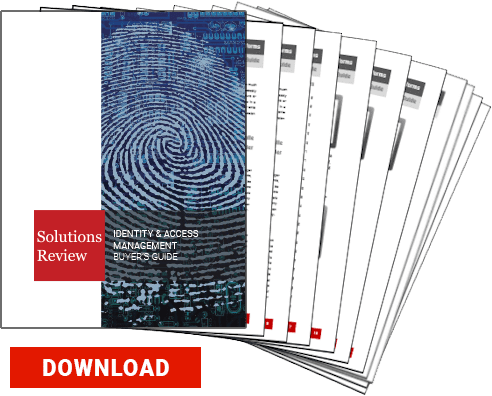 You can download the full 2018 Gartner Cool Vendors in Identity and Access Management report here.